Check out these tropical destinations that will leave you feeling rejuvenated! With parts of the United States being pummeled with arctic temps, what better motivation and incentive is there to hunker down and start planning that honeymoon in paradise? The experts of Health and Fitness Travel share their top 10 beach destinations – with a wellness twist. From horseback riding on the shores of Costa Rica, to diving beneath the crystal-clear waters of the Caribbean, or relaxing with an indulgent spa massage on the white sands of Vietnam, discover worldwide dream locales. 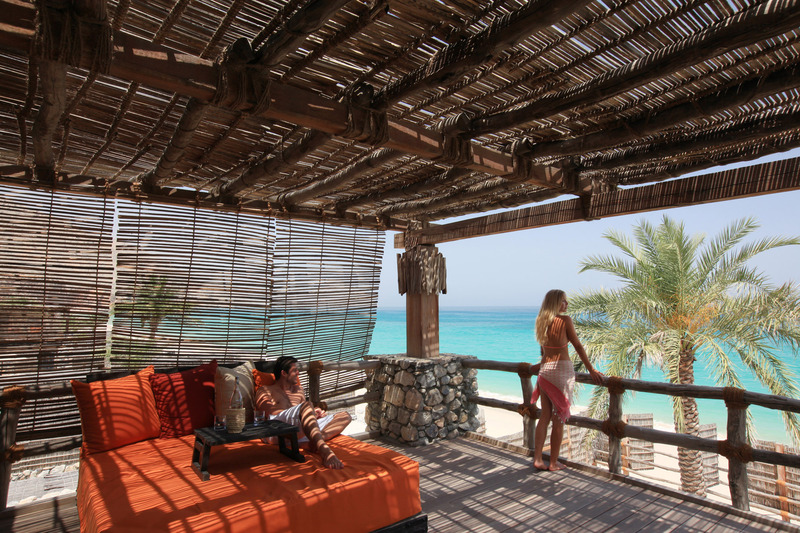 At this luxury wellness retreat in exotic Oman, you can take to the skies and paraglide over rugged mountains or private beach. Revel in the sparkling blue waters by snorkeling, kayaking, waterskiing, and wakeboarding. The secluded nature of this property also exudes an air of tranquility. Perfect for a spa honeymoon, make the most of the calm atmosphere by indulging in rejuvenating and balancing East-meets-West treatments at Six Senses Spa. For dinner, enjoy a romantic candlelit meal for two in the majestic mountains. 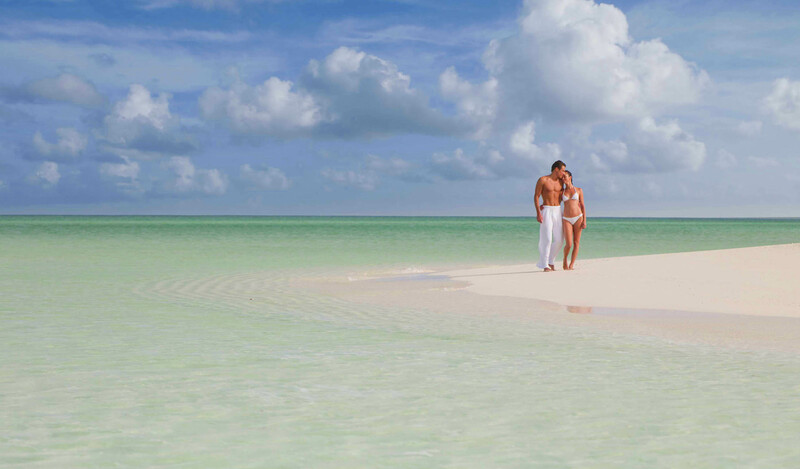 Escape to a lavish all-inclusive haven and picturesque beach, ideal for sun-seeking couples on a December honeymoon. 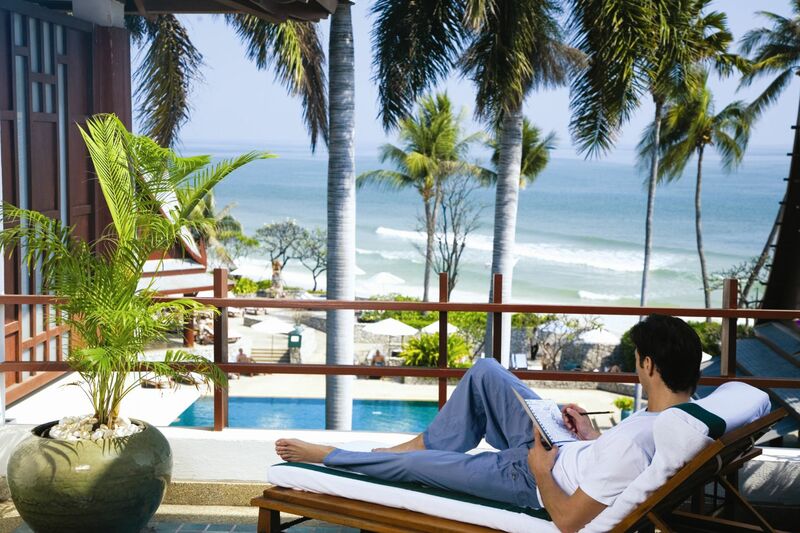 Set on the coastline of Hua Hin, this exclusive sanctuary will make newlyweds feel like royalty. Against a backdrop of green hills, unwind on exotic soft sands and take a dip in the tropical waters of the Gulf of Thailand. The retreat’s tailor-made wellness programs can also help you start your happily-ever-after with a lifestyle transformation. Benefit from consultations with expert therapists and start your journey towards healthier living. Indulge in inclusive daily massages and don’t miss out on the Chiva Som signature treatments. Complement your honeymoon with elements of fitness at this world-class wellness property in St. Lucia. Situated in a private cove with gentle waters and pristine sandy beaches, honeymooners can combine relaxing in the sun with activities such as water sports, yoga, trekking, mountain biking, and volleyball. Pamper yourselves with side-by-side spa treatments that sound good enough to eat at the award-winning wellness center and end your day in paradise with romantic candlelit dining on the beach. The beachfront setting of this resort offers a wide range of water sports – explore the warm waters by venturing on diving and snorkeling excursions to local Cu Lao Cham Island. 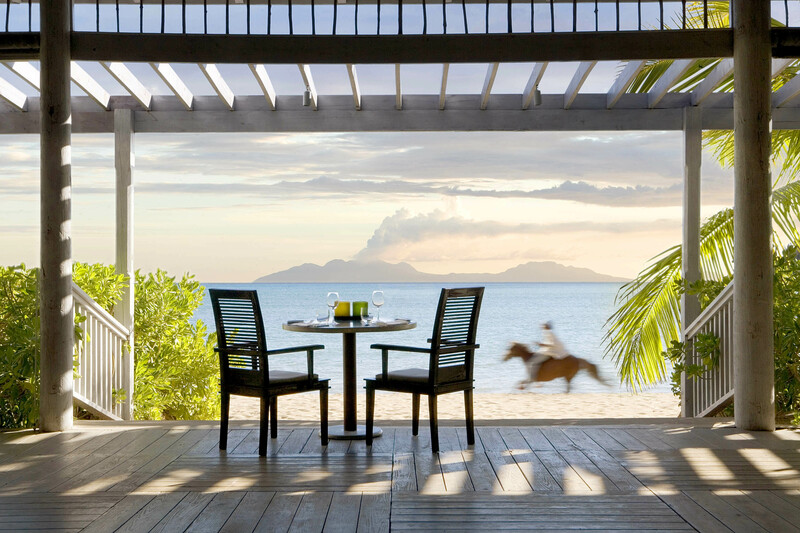 The fantastic breakfast “any time, any place” philosophy at the retreat means honeymooners can begin the day enjoying their meal on the exquisite white-sand beach. When you finally tear yourselves away, take advantage of the two inclusive daily spa treatments and truly decompress. The picture-perfect turquoise sea and soft white sand will make you feel like you’re in heaven. Learn about the island’s exciting history peppered with pirates as you kayak, snorkel, or stand-up paddleboard. Enhance your wellbeing and complement your days on the beach by taking advantage of the tranquil environment to join yoga classes. Visit the outdoor Jacuzzi garden and unwind together after your day in the sun. This secluded luxury spa in beautiful Bali blends exquisitely into the island’s natural landscape of lush vegetation, spectacular volcanic peaks, and a unique black-sand beach. Observe unforgettable views from the blue infinity pool and gorgeous open-air restaurant. A dream destination for a cultural wellness honeymoon, excursions such as squid fishing on a traditional Jukong will leave you feeling enriched and enlightened. Rejuvenate with spa treatments that all begin with The Segara Giri – where your feet are cleaned with the local black volcanic sand. End your day with some romantic stargazing. This stylish escape is home to a private white-sand beach fringed with palm trees and turquoise waters – perfect for water sports enthusiasts. Spend your days in paradise snorkeling, sailing, waterskiing, and working on your tan. Relax in a couple’s treatment room at the award-winning Blue Spa. Afterwards, enjoy Champagne and a five-course dinner for two on the jetty by candlelight, and then cuddle up as you watch a film in the plush cinema room. Located on the magnificent sands of the Nicoya Peninsula of Costa Rica, and with a backdrop of tropical jungle, this luxury resort boasts world-famous surf. 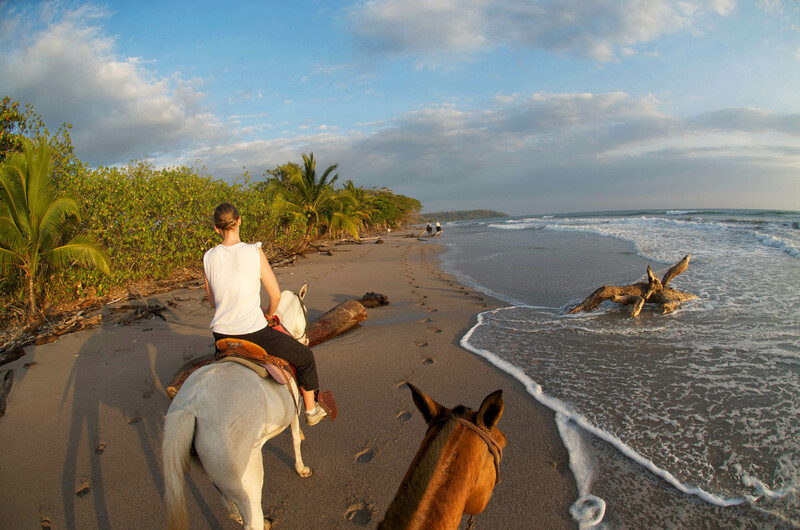 Head to the excellent surf school to catch some waves, or feel closer to nature horseback riding along the soft sand. The opulent two-story honeymoon house offers some rustic romance as you awaken amidst the treetops. Take in views of the sparkling water, as you sip a drink on your private terrace. Surrounded by the best of Australian coastline and landscape, on the northern tip of the idyllic Hamilton Island, this paradise on earth is the ultimate destination for a tranquil beach getaway. The alluring aquamarine sea invites honeymooners to experience snorkeling, diving, catamaran sailing, and behold the breathtaking scenery. 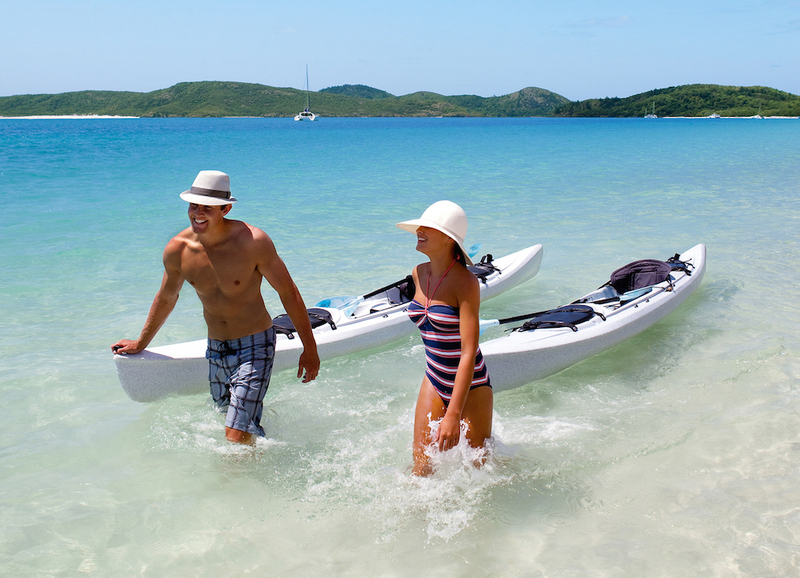 Embark on adventurous excursions to the Great Barrier Reef and paddle a twin kayak off the stunning Whitehaven beach. You and your sweetheart can also set sail on a romantic sunset cruise around the Whitsundays Islands, or savor exquisite cuisine at an intimate poolside dinner. 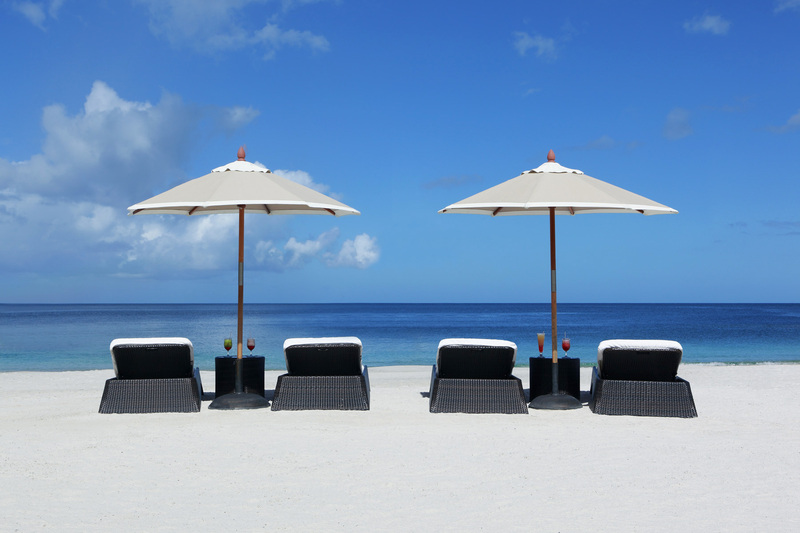 Escape to one of the “Jewels of the Caribbean” when visiting this lavish beach resort. Encircled by lush green mountains and vibrant rainforest, this retreat boasts an exquisite beach of white sand and year-round crystal-clear waters. Relax on the sun-kissed sand before exploring some of the fantastic diving and snorkeling and keeping fit with the property’s selection of high-standard sports academies. Relish in the bucolic surroundings with beachfront dining right by the sparkling ocean, including an exclusive four-course menu, Champagne, a private waiter, and a candlelit table – making this a honeymoon to remember. Health and Fitness Travel is a global luxury wellness travel company that originated in the UK in 2010 and is committed to providing healthy holidays that enhance and change lives. For more information, visit http://www.healthandfitnesstravel.com/healthy-honeymoons.